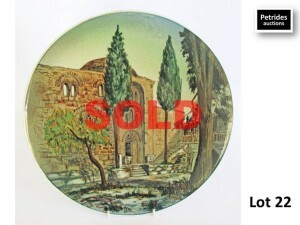 A large Greek Keramikos pottery charger numbered & dated ‘1936 12 N13 DAFNI’, depicting a landscape. W345mm. Sold for €47 incl. premium.